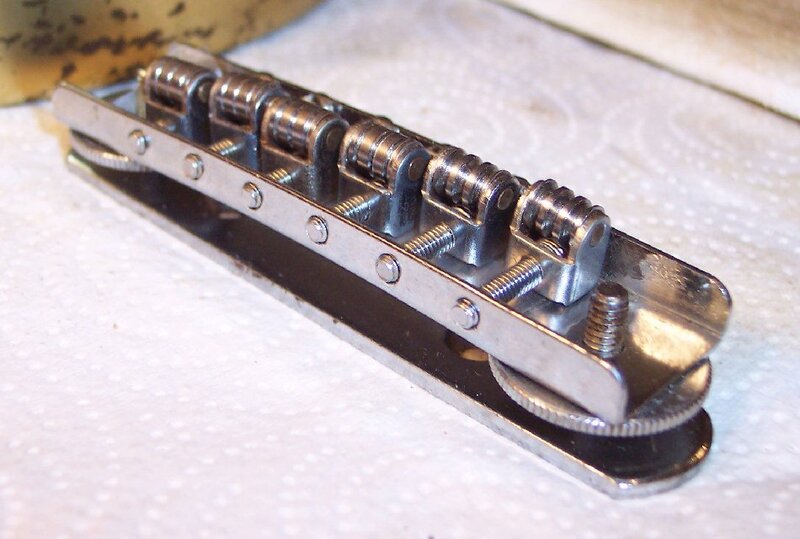 These later / last model 1478 Intonateable Roller Bridges are FAR superior to earlier wood fixed floating bridges that had to be glued down to keep them from rocking and sliding during vibrato operation, and had to be ran off the back of the pickguard to intonate properly. Detailing the roller bridge after disassembling and cleaning it up. 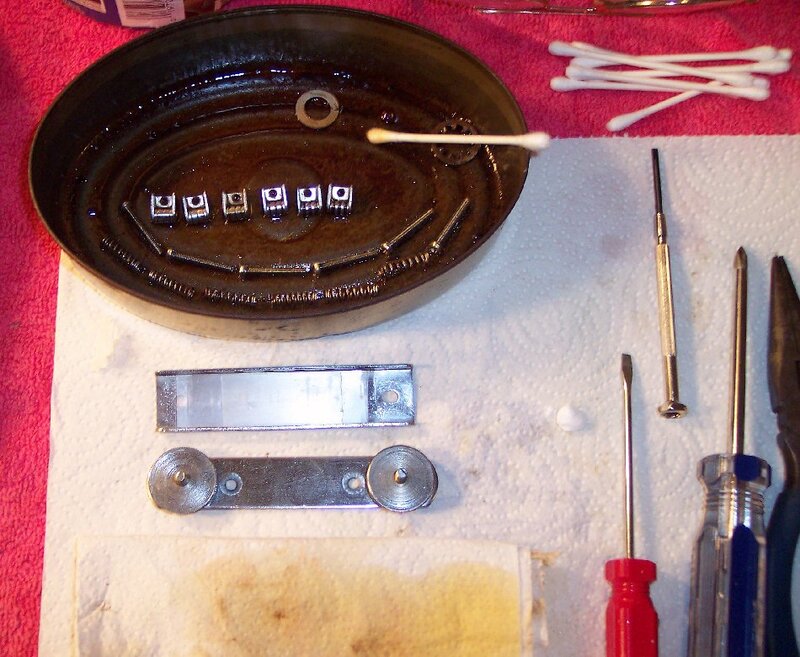 Saddles pieces re-soak here in capillary penetrating oil to make sure they are saturated prior to assembly. Parts are then laid onto paper towel "tampon" to drain access oil. 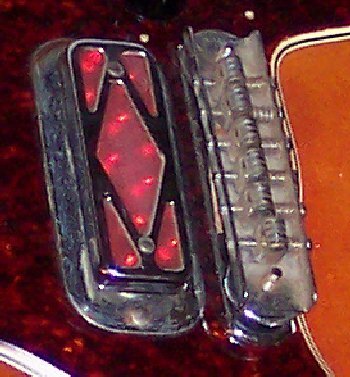 The aerosol oil's carrier evaporates overnight and leaves a protective and lubricating film in the right places while any access is be wiped from hand and guitar contact surfaces. 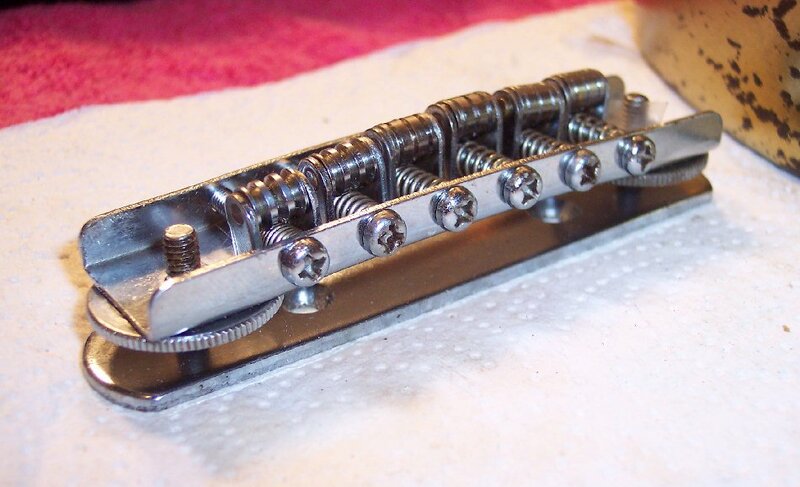 The threaded saddles run in and out on the screws, under spring tension. 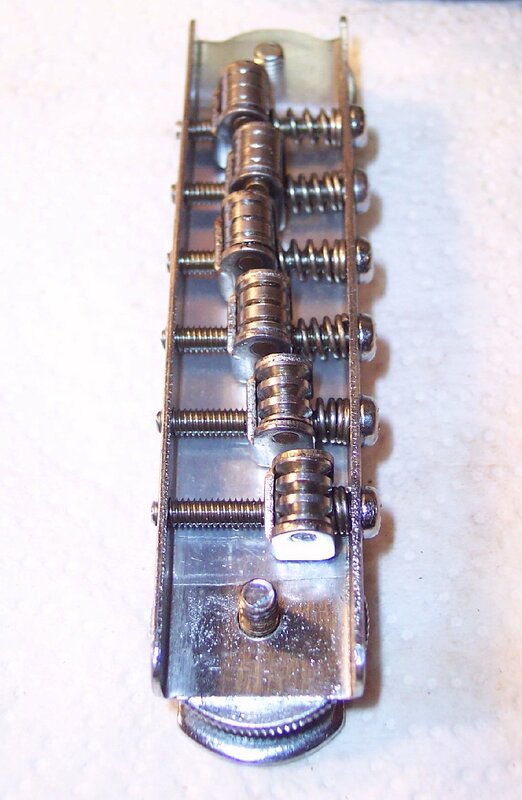 The bridge holes are not threaded and act only as position alignment for the saddles screws. Assembled; Everything turning excellently free; Now in extremely well cared-for vintage condition. Eyeball intonation is preset; Saves ALLOT of motion and time when it comes time to set the intonation. Each end-space between each roller and their bosses, received a drop of Tri-Flo TPFE light oil, which will leave a TPFE lubricating film inside the rollers / axles. 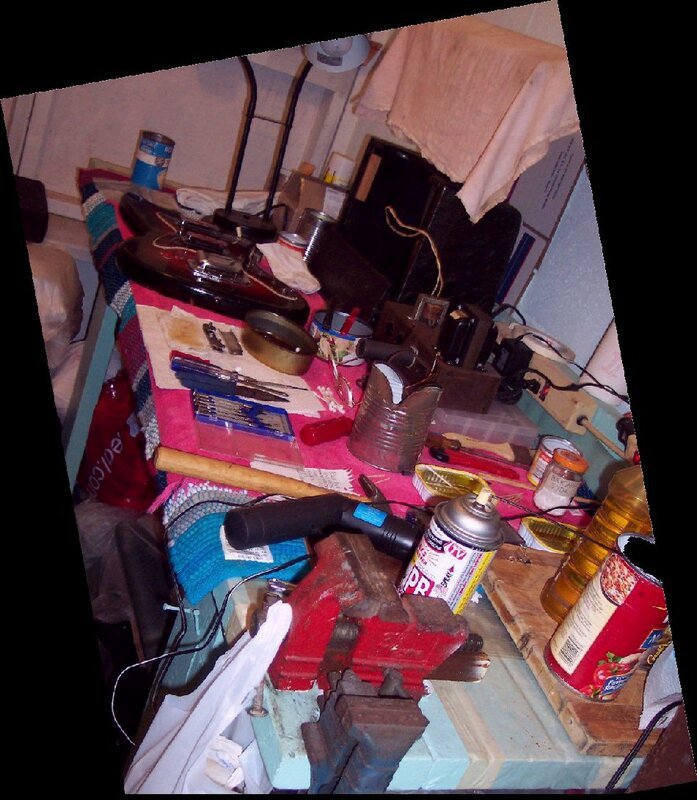 Compare with grungy condition when received. The rollers were "frozen" and had to be worked loose from their grunge "cement". 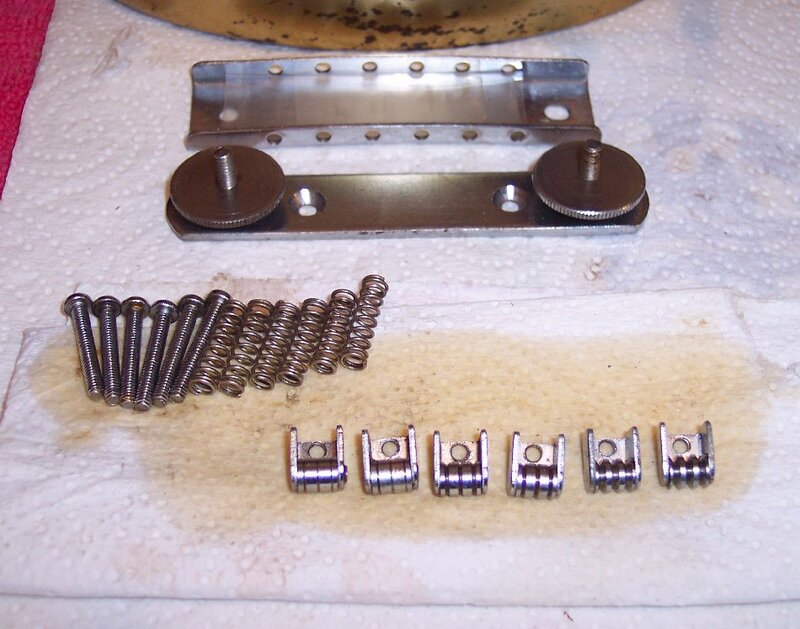 The axles are brass so no dissimular metal electrolysis was working, just grunge. Otherwise excellent condition when cleaned up.